Recently I was contacted by Earhoox to do a review on their product. I was happy to jump on board because I have issues with my earbuds staying put. 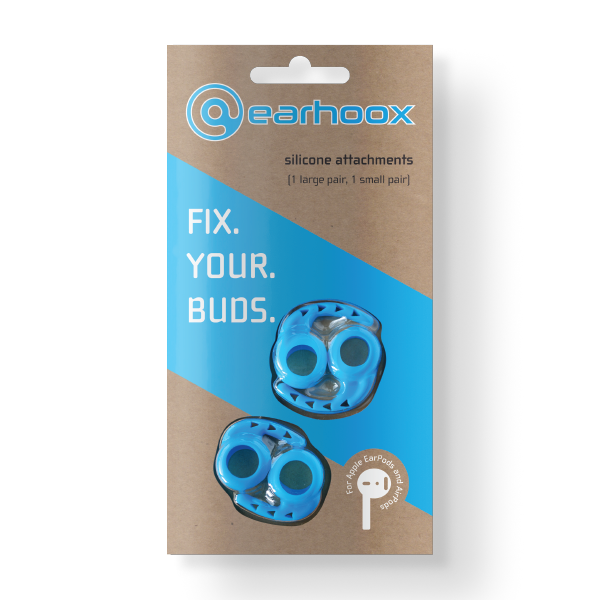 These Earhoox comes in three different colors, blue, black and white. Each packet comes in two sizes, small and large. They're a perfect fit for Apple's EarPods and AirPods. I passed them around to have my family try them out. The soft silicone makes it so nice and comfortable. It fits snug and secure in my ear and helps a bit with noise cancellation. I no longer worry about my earbuds coming loose or having to keep re-adjusting them. The price can't be beat for two pairs it's only $9.99. The only drawback for the EarPods is that with these Earhoox on, they will not fit inside the charger case. 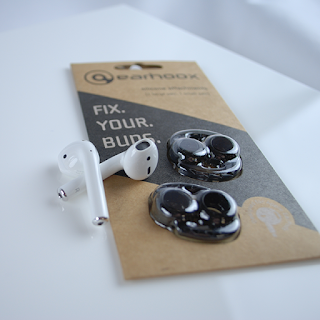 The Earhoox have to be removed in order to charge the EarPods. Other than that, I love this product. I have the Earhoox permanently on my earbuds. I have an extra packet of the black Earhoox to giveaway. This giveaway is not sponsored by Earhoox. All opinions are mine alone in exchange for this review. I just happen to have an extra set and would love to share it with my reader. The giveaway is open to US Residents only. Giveaway ends Saturday night 8/19/17 at 11:59 pm. I will announce the winner shortly after. Leave one comment on this post to let me know which platform you follow me on. I follow you on Bloglovin'! I have the same problem with earbuds. They either hurt my ears or won't stay put, so I tend to stay away from them. 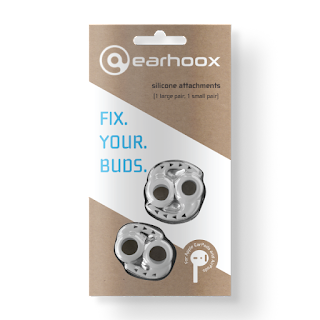 These Earhoox sound like they may solve my problems...well, at least one of them! How cool! These would be great for running. These look awesome. I follow you on Instagram. I follow you on Bloglovin'! I hate always having to readjust my earbuds! I follow you on both Instagram & Bloglovin'. 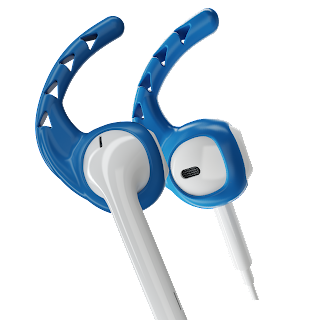 I would do love to give these earhoox to my daughter who has tiny ears (she's 30) & earbuds do not fit her at all, & I think these might help!! I follow you on instagram, maybe with these I can finally wear buds.